AN EXAMPLE? I did this when I was in Luang Prabang in August 2002. 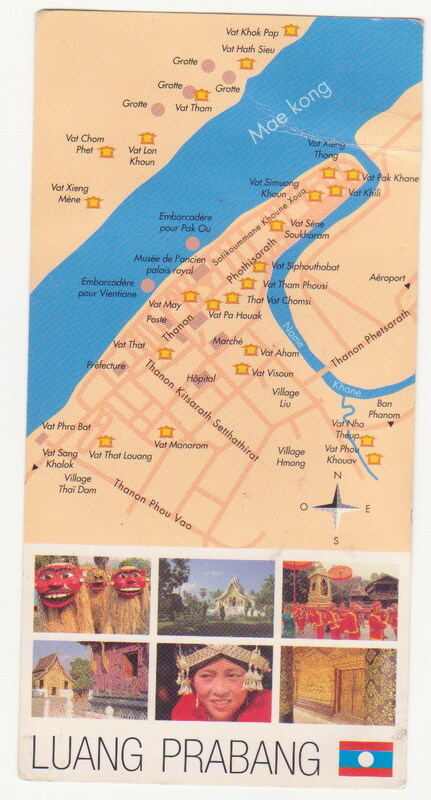 I bought a postcard and made it a point to chase down all the WATS (temples) which are marked on the map, which were less touristed and were hard to find. IT made for a great day’s adventure. This is a great way to go off-the-beaten track. Who drew the postcard? I have no clue but it credited two French photographers — Richard Zebulon and Michel Huteau. The little piece of three by ve inch cardboard was my best spent 1,000 kip (10 cents) in Laos.